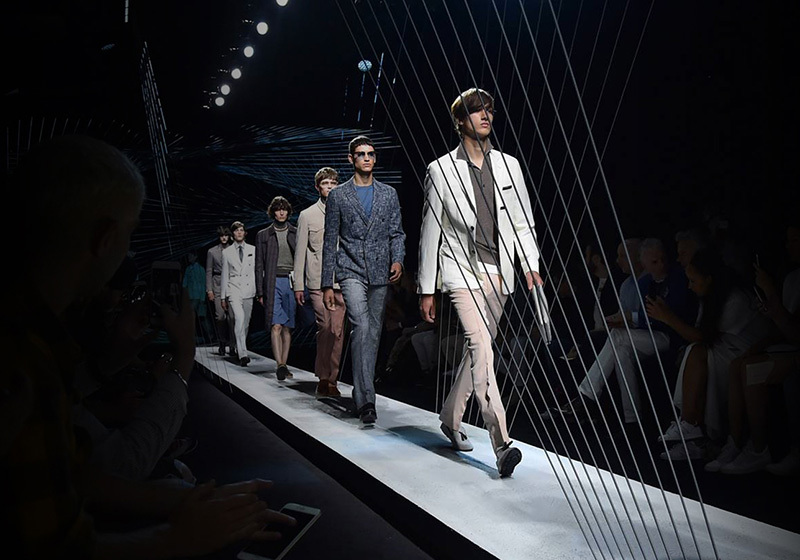 Tis a harsh truth but it must be said – If you don’t know Canali, then you probably don’t know much about menswear. It is perhaps not as flashy as other Italian labels, but the essence of great style is neither flamboyant, nor does it demand the immediate attention of a room. Superlative style instead relies on qualities like being intimately acquainted with oneself, understanding the cut and craftsmanship of a jacket, knowing, without hesitation, how to identify the perfect break in a pair of pants, and always choosing the most impeccable accessories. 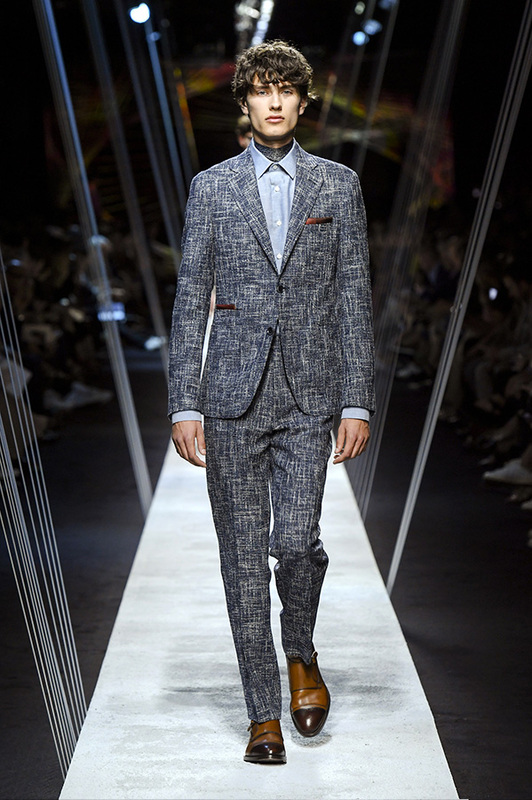 Every season, I look forward to reviewing the new suits and menswear collection from Canali quite simply because it makes all of the above easy. 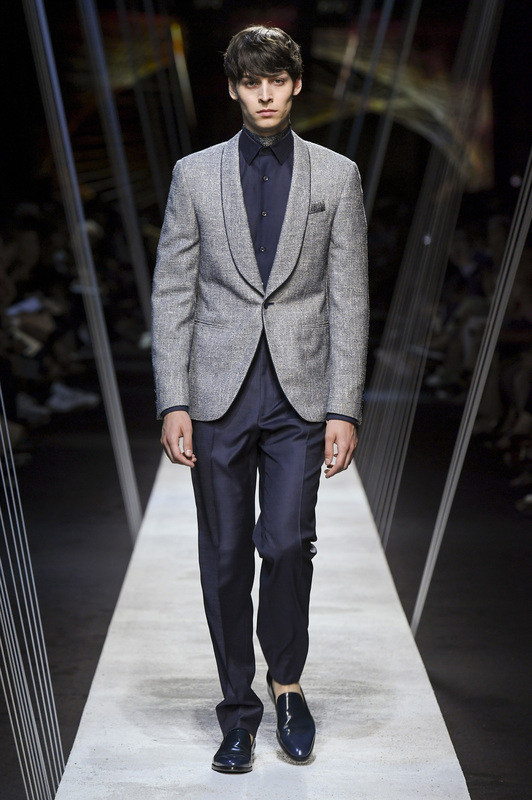 Put even more plainly, Canali never disappoints.  However, the reason for this winning track record on the menswear catwalks of the world has nothing to do with any particular mystery or substantially complicated formula. It instead has everything to do with the fact that classic elegance is timeless and classic elegance is the very thing that Canali does best. 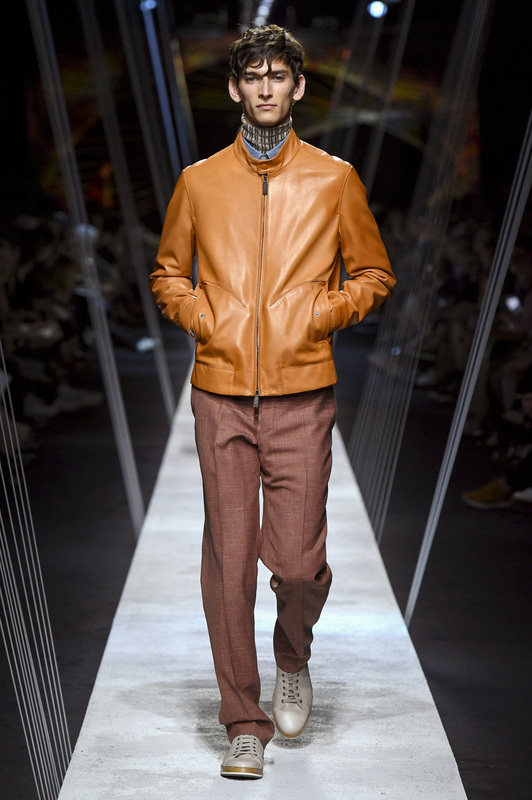 Which is not to say that Canali is stuffy or in any way trapped in a former era of sartorial splendor, but rather to suggest that it dances the fine line between modernity and classic style with the grace and form of a world-class ballerina. 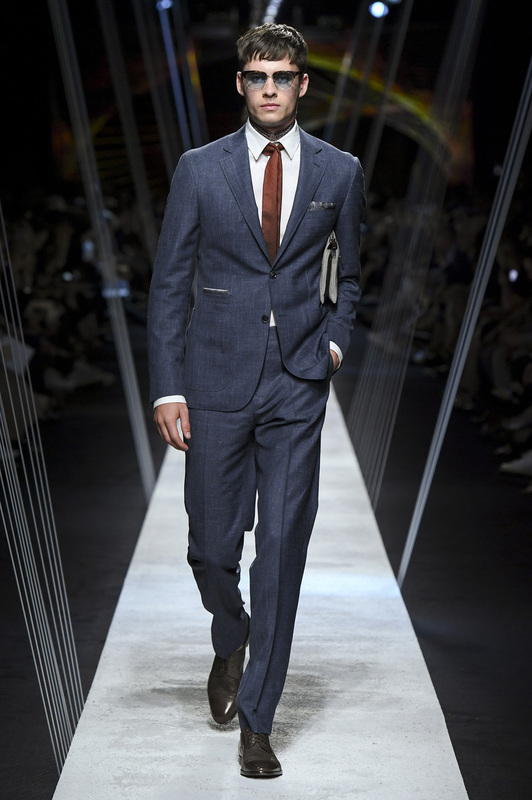 It is a feat achieved in no small part due to the label’s more than eight decades long devotion to the uniquely “Made in Italy” brand of elegance that has become synonymous with the finest tailoring in the world. 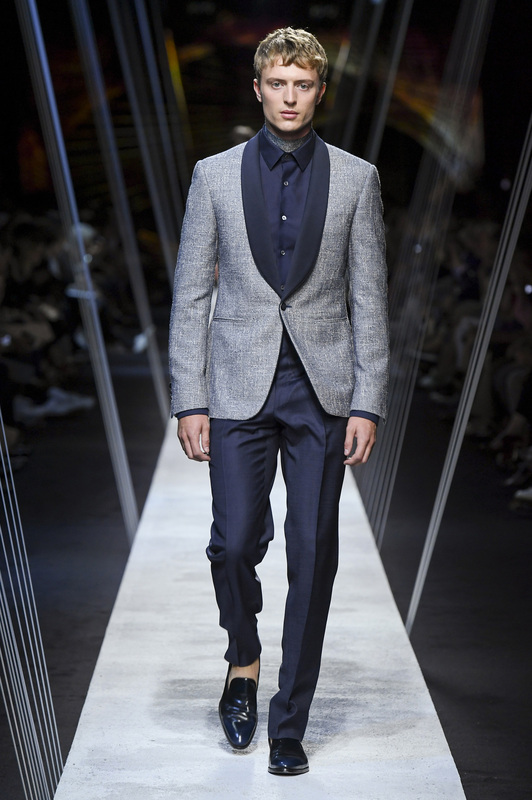 In furtherance of this point, below are just a few highlights from Canali’s Spring/Summer 2017 collection which continues to demonstrate the label’s commitment to sophisticated style and unerring good taste. Perfectly swell for an afternoon cocktail party, a day at the races or a smart lunch meeting, this micro terry effect jacket with double chest pocket paired with a linen-cotton mélange shirt, pants with slant pockets, silk pocket square, silk scarf, tumbled calfskin pouch and loafers with tassels is an undeniably winning look. Contrary to popular belief, the end of the week isn’t necessarily synonymous with denim. 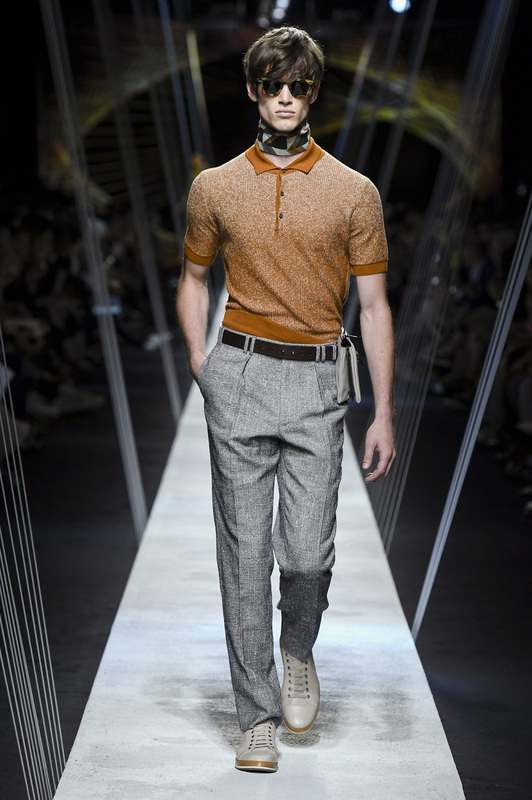 Smarten up your casual Friday with this two-tone jacquard polo shirt, pants in malfilé fabric, cotton-linen gauze neck scarf, belt bag with retractable handle and perforated leather sneakers. Looking for a new blue suit that says something special when you enter a room? What could be more classic than this wool-silk-linen Kei suit with applied pockets and waist pocket and flat front pants worn with a pure linen shirt, a neck scarf used as a tie, silk pocket square and scarf and calfskin derby shoes? Fine and dandy is exactly how you’ll look in this Kei suit in malfilé fabric consisting of jacket with waist pocket and flat front pants worn with a cotton shirt and a leather single monk strap shoe. If the invite doesn’t call for black-tie, why not be daring? I’m all for the classics, but I’m also a big fan of tweaking tradition when given the appropriate opportunity. And that is exactly what this tuxedo jacket in malfilé fabric with contrasting silk shawl lapels and piping paired with a cotton shirt, denim-like flat front pants in wool-silk, neck scarf and leather evening loafers, does in spades. Grey is the new black? Perhaps it could give the old black and white a little competition if it was used as brilliantly as it in this ensemble comprised of a tuxedo jacket in malfilé fabric with shawl lapels and piping, cotton shirt, flat front pants in wool-silk with denim effect, granite effect scarf and leather evening loafers. Spring weather is becoming more and more unpredictable but this classic soft leather jacket with stand-up collar and zip guarantees that you will be fashionably warm no matter which way Mother Nature blows. This trench coat in burnt sienna is perhaps my personal favorite item of the entire collection because it epitomizes how a classic can be transformed into a statement piece that will not fade with the trends but instead become a treasured and signature purchase. To shop the entire Canali Spring/Summer 2017 Look Book, click here.